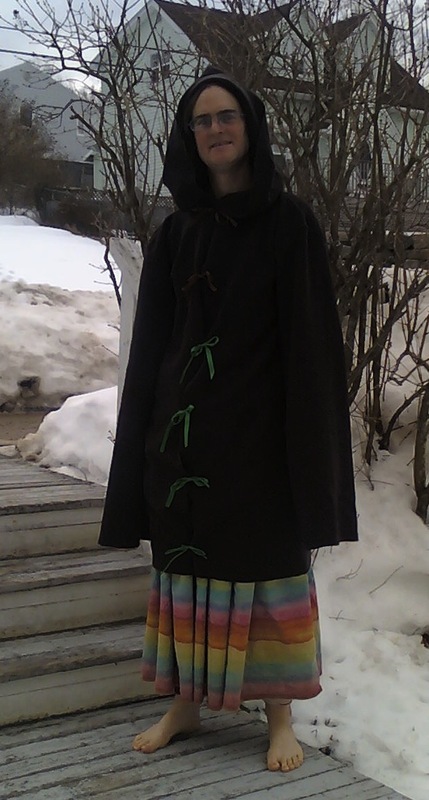 I decided it was time to try out a wool layer for my rainbow sweater coat, here is what it looks like. This has been inside the rainbow fleece layer since it was made yesterday. The fabric is coating weight 80% wool and 20% polyester. Also, being barefoot in the winter is getting easier with practice.